The Uffizi Gallery is known everywhere as one of the world’s most important galleries because of its superb collection of artworks. All the great Italian masters, and others, are exhibited in this museum. Just to mention a few, there are works by Giotto, Cimabue, Beato Angelico, Piero della Francesca, Masaccio, Leonardo da Vinci, Donatello, Michelangelo, Mantegna Tiziano, Tintoretto, Rubens and Goya, Vasari, Canaletto, Rembrandt and many others. Cosimo I de’ Medici entrusted the construction of the building to Giorgio Vasari in 1560. He had to bring together the 13 most important magistrates governing the administration of the Medici state, known as uffici, who were located in different places. The Duke wanted a secret passageway to be made between Palazzo Vecchio and Palazzo Pitti on the occasion of the marriage of his son Francesco with Giovanna d’Austria in 1565. 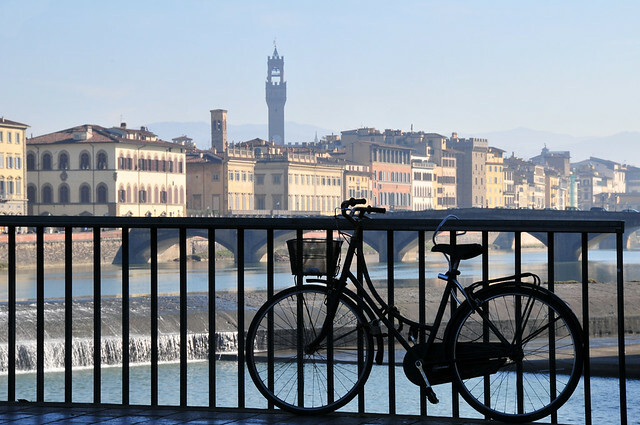 And so Vasari made the so-called Vasari Corridor, which from Palazzo Vecchio crosses a part of the gallery, passes over the Arno along the Ponte Vecchio (Old Bridge), comes out in the Boboli Gardens and goes from there to Palazzo Pitti. In 1581, Francesco I decided to close the loggia on the top floor and transform it into a gallery to house his collection of artworks. Over the centuries, the collection of works continued with donations and acquisitions, and the creation of the Great Uffizi Museum doubled the exhibition space, with works taken out of storage and sections that had been short of space widened. Opening hours: 8,15 – 18,50 Closed Monday, New Year’s Day, May 1st and Christmas Day.